Lok Sabha Elections 2019: The Election Commission has informed the state chief electoral officer Sanjiv Kumar that it has, in response to his letter, approved the proposal for posting of Chethan Singh Rathor in place of Prakash Gowda. 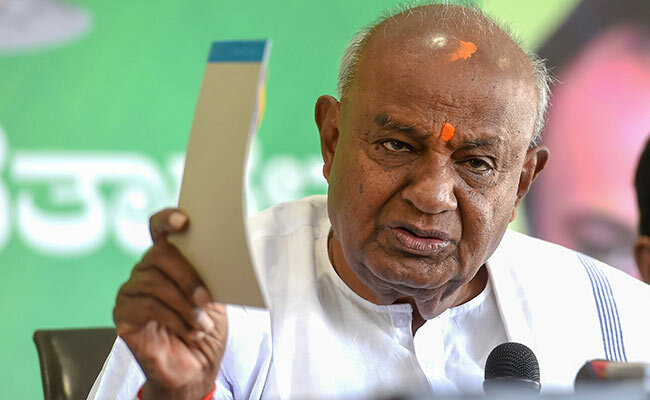 The Election Commission Thursday transferred the superintendent of police of Hassan and changed an election observer in Mandya-- the two sensitive constituencies from where former Prime Minister HD Deve Gowda's grandsons are contesting the Lok Sabha polls. Hassan SP AN Prakash Gowda has been transferred and Chethan Singh Rathor has come in his place, while Mandya election observer Ranjit Kumar has also been changed, a senior electoral officer said. The EC has informed the state chief electoral officer Sanjiv Kumar that it has, in response to his letter, approved the proposal for posting of Mr Rathor in place of Mr Gowda. "The ECI has transferred AN Prakash Gowda. Similarly, Mandya election observer Ranjit Kumar has also been changed," chief electoral officer Sanjiv Kumar told PTI. The transfer of Prakash Gowda comes barely four days after the transfer of the deputy commissioner of the district Akram Pasha who has been replaced by Priyanka Mary Francis. The BJP had alleged misuse of official machinery and had requested the Election Commission to transfer the two officers to conduct free and fair elections in Hassan. Chief Minister HD Kumaraswamy's nephew and Karnataka public works minister HD Revanna's son, Prajwal Revanna is contesting from Hassan. Mr Revanna is the grandson of former prime minister HD Deve Gowda. Mr Kumaraswamy's son Nikhil is fighting a tough battle in Mandya, where he is pitted against multi-lingual actress Sumalatha, widow of former minister and actor Ambareesh. BJP Lok Sabha lawmaker Rajeev Chandrasekhar and assembly lawmaker S Suresh Kumar had submitted a memorandum to the election commission on March 28 with a list of 13 officers, including Mr Pasha and Mr Gowda, asking it to remove them from the irrespective districts.